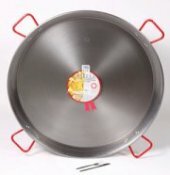 Our catering size paella pans & burners can be found in an ever-increasing number of different venues - From the traditional event caterers through to pubs, markets, restaurants & cafes and festivals. 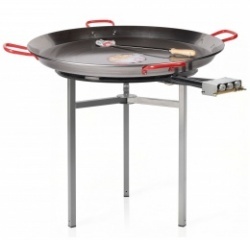 Caterers and catering equipment hire companies are becoming increasingly aware of the benefits of adding our giant paella pans and burners to their repertoires. See some in action in our Photo Gallery ! 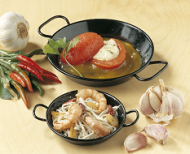 These large pans and burners create real theatre and are a great talking point whether they are being used to cook paella or a whole host of other dishes - they are after all just large, versatile pans. 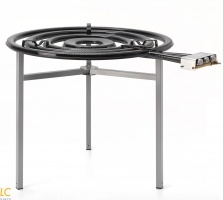 We have a unique number of paella burner options with Flame Failure Devices (FFD's) making them fully compliant for indoor and semi-enclosed catering.